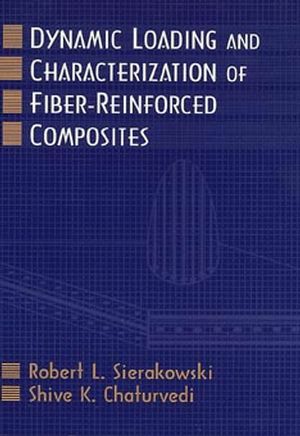 Emphasizing polymer based fiber-reinforced composites, this book is designed to provide readers with a significant understanding of the complexities involved in characterizing dynamic events and the corresponding response of advanced fiber composite materials and structures. These elements include dynamic loading devices, material properties characterization, analytical and experimental techniques to assess the damage and failure modes associated with various dynamic loading events. Concluding remarks are presented throughout the text which summarize key points and raise issues related to important research needed. About the authors ROBERT L. SIERAKOWSKI, PhD, is Professor in the Department of Civil and Environmental Engineering and Geodetic Science at Ohio State University in Columbus. His previous books include Damage Tolerance of Composites and The Behavior of Structures Composed of Composite Materials. SHIVE K. CHATURVEDI, PhD, is Associate Professor in the Department of Civil and Environmental Engineering and Geodetic Science at Ohio State University in Columbus. A former member of the editorial board of the international journal Composites Engineering, he authored an entry in the multivolume Encyclopedia of Composites.